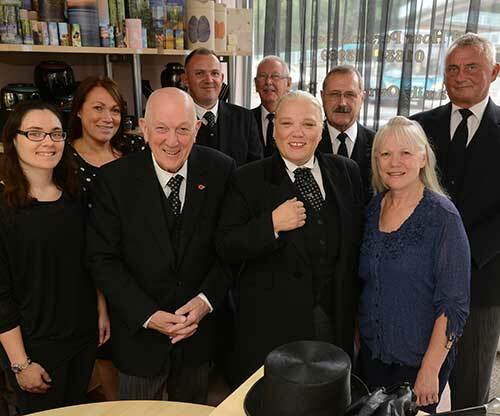 Independent family business Button & Family Funeral Services has won a Big Heart award for the Southeast in the National Family Business Awards. The gongs recognise the level of service provided by family-run businesses that really care about their customers. Button & Family opened its doors in Chatham 12 years ago and the whole family is now involved. Dad Chris claims to have the business brains, daughter Andrea is the qualified funeral director, and her son Christopher is following the same path. Mum Gai is the interior designer, daughter Sara-Jane Stratton keeps the show on the road, niece Emily Maynard is the computer guru, and Andrea’s partner Shane Chandler is Chris’s ‘wingman’. The competition judges were impressed by the Button family’s dedication, saying: “The team has a deep-rooted respect for their client families and their work goes beyond caring for them during hard times, and extends into bringing back life and laughter with their fundraising and nurturing, supportive values. The award was presented at a gala dinner but the family couldn’t make it as they were attending to a client. “But we’re so chuffed that the awards recognise the effort we put into making our local community better for all,” said Andrea. Pictured are: Emily, Sara-Jane, Chris, Shane, bearer Rod Nash, Andrea, bearer John Summerfield, Gai and bearer Graham Parlour. Founded in 2009, the National Family Business Awards recognise the contribution that family-owned companies make to Britain’s economy in generating billions in taxes and employing more than 9 million people.